Early Pre-WWII (ca. 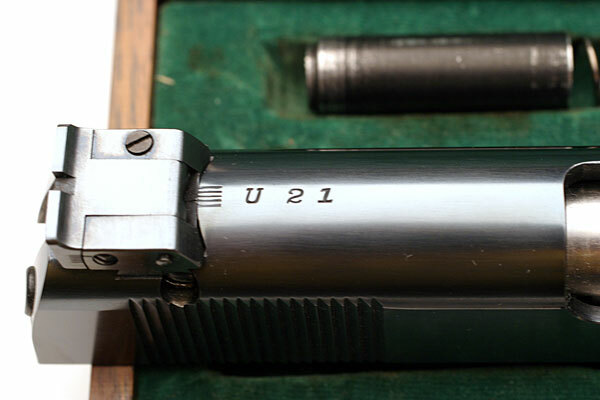 1938) Numbered Conversion Unit serial number U 21 complete with original wooden Colt presentation case and all accessories. 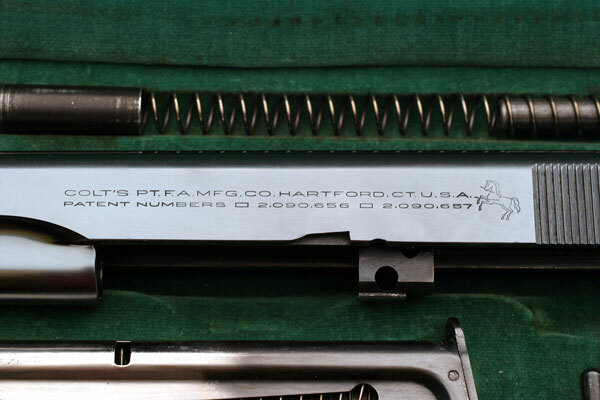 Two tone magazine with "Service Model" designation on the floorplate. Factory letter indicates that the unit was charged to Colt's Loan Account and shipped to the National Matches, Camp Perry, Ohio on August 11, 1938. 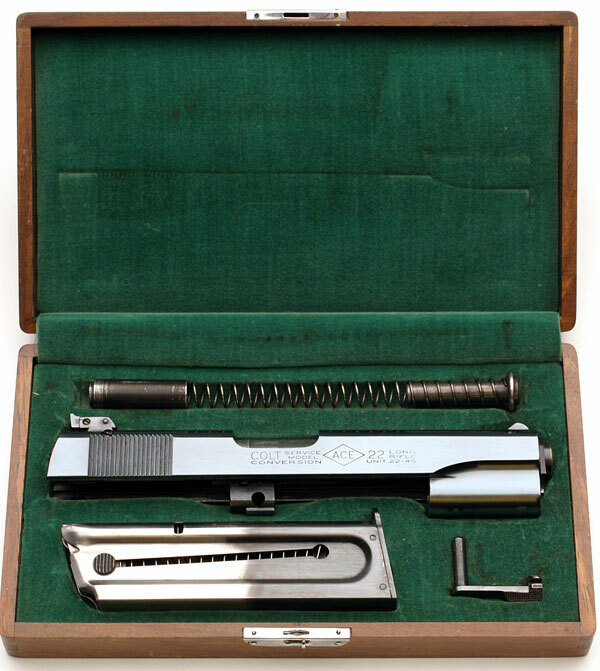 This was processed on Colt Factory Number 8045 and was one of 10 units in shipment. 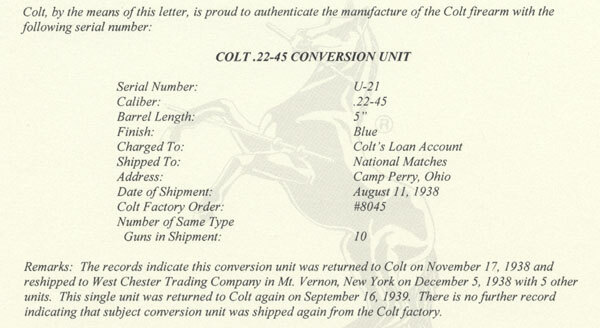 The letter further remarks that this conversion unit was returned to Colt on November 17, 1938 and reshipped to West Chester Trading Company in Mt. Vernon, New York on December 5, 1938 with 5 other units. This single unit was returned to Colt again on September 16, 1939. 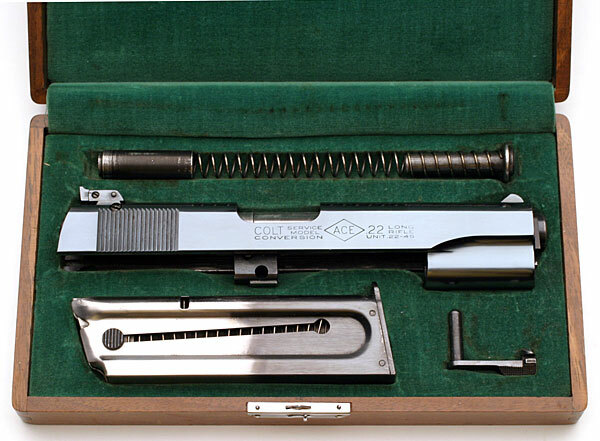 There is no further record indicating that subject conversion unit was shipped again from the Colt factory. View of rear sight and numbered slide. 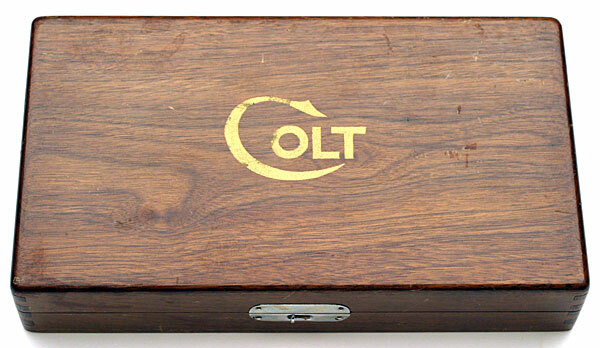 Closed case with Colt logo on the lid. All component parts of the conversion unit showing right side of slide. Detail of left side slide markings.